Boston just had domestic terror suspects in their community. What if the president decided to send drones against terrorist suspects in Boston (or any other city), as it does on a daily basis against suspected terrorists in other countries? There is nothing in place to stop him. and the government has arranged in advance to use drones against the American public. In order for the government to send drones against people they wish to spy on or to attack, they must have GPS-coordinates. Are the people of Boston aware that Lockheed Martin collected their census data? Lockheed Martin is not only a military contractor but a major producer of GPS systems (led by the Global Positioning Systems Directorate at the U.S. Air Force Space and Missile Systems Center), and drones. Are they aware that Lockheed Martin trespassed onto their property and that of Americans across the country and GPS-tagged their homes without any permission? Are they aware this GPS tagging provides the essential coordinates required to kill any Americans via drones? “In 2004 the United Nations Secretariat published a pdf entitled “United Nations Expert Group Meeting to Review Critical Issues Relevant to the Planning of the 2010 Round of Population and Housing Censuses”. Subtitled “Integration of GPS,Digital Imagery and GIS with Census Mapping” On page 2 it says “4. 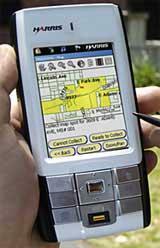 The census symposium, held in New York in 2001, provided a comprehensive review of the significant capabilities of GPS, Satellite imagery, GIS and handheld computers, and their relevance to census mapping operations. ” This study is about GPS mapping during the census process. “A Similar pdf from the UN Dept. of Economic and Social Affairs Statistic Division says that the aim of the meeting was to “set priorities and propose concrete outputs for the development of the 2010 World Population and Housing Census Programme.” The meeting was attended by representatives from 18 countries including the US who was represented by Jay K. Keller, Chief of International Relations, US Census Bureau. While Bostonians are facing the astounding shut down of their entire city in martial law fashion because of suspected terrorists (and trying to face the news coming in that the bombing was a CIA operation and a false flag), they must now face the reality that Congress has allowed for drones to be used in the US with no safeguards whatsoever, and the president has the power to order their use to assassinate untried Americans. What would have been the result to the community if a drone attack had been used to kill the young suspect found hiding unarmed in a boat in someone’s backyard in Watertown? Continuing from the article “Why Did the Census Bureau …” Emphasis added. 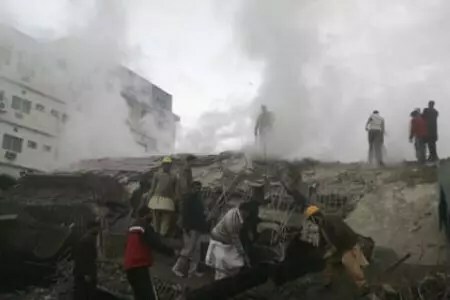 “In a report by New Scientist one drone manufactured by Lockheed Martin, one of the contractors used by the census bureau, the RQ-170 Sentinel craft, may have been brought down in Iran by jamming its GPS signal. and against any data recorded by the drones being used in criminal prosecutions. The American people have not even begun to consider what it would mean if the government “thought” a “terrorist” was in their neighborhood or even community and used drones. Previously the question was whether people were willing to give up rights to feel safe from terrorists, but the question now posed by drones is quite literally, are the American people ready to give up their lives and the lives of those dear to them. Put most plainly, are people willing to be blown to smithereens to stop a suspected terrorist? Would people in Boston have been? Would any people in any American city have been? 1. Why was a private military contractor collecting US census data? 2. Why were they allowed to trespass on property across the country to take data that had not obtained a legal right to? 3. Why is the government collecting data that is linked directly to the capacity to send missiles into American homes? 4. Why was that targeting data sent to the White House? 5.. What would have prevented the president from ordering strikes in Boston under current law or his recent executive orders giving himself the right to assassinate anyone? 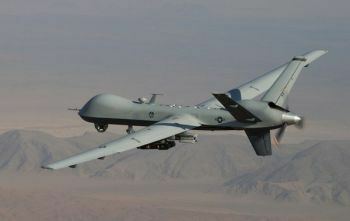 It goes without saying that the military contractors making the drones have a vested interest in using them. Does it also go with saying that the results would, instead, be indistinguishable from war, and with exactly the same military contractors involved. This could have been Watertown, Massachusetts. Nothing is in place to prevent this from happening. From the UN down, everything has been put in place to allow it. There is, in fact, no place in the country where it would be “safe” for the government to use drones, “to keep the public safe.” Nor any place in which it would be sane. Why is the US involved in obeying UN plans to GPS-tag all American homes? And why is that simultaneously linked to multinational military drone contractors? This entry was posted in Human Rights Civil Liberties, Military, Psy-Ops and tagged boston terrorist, domestic surveillance, drones, gps, police state. Bookmark the permalink.